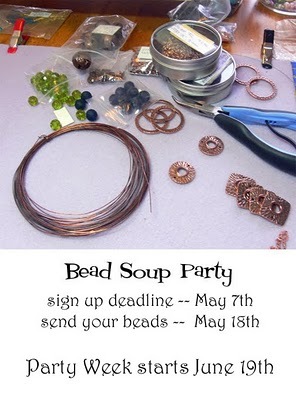 Dana's Jewelry Design: I'm Ready for a Bead Party! I just joined a new bead swap called Bead Soup. I think it is going to be a smash. The deadline is the 7th so if you want to join in you still have some time. Head on over to Lori's blog Pretty Things and enter. I didn't participate in the last one but did look at some of the wonderful pieces that the participants put together. I believe the whole process is that you are assigned a partner, you then swap beads, a clasp and a focal bead with your partner and then make something using those components. Sound like fun doesn't it. In other news, here are a couple of pieces I created yesterday. 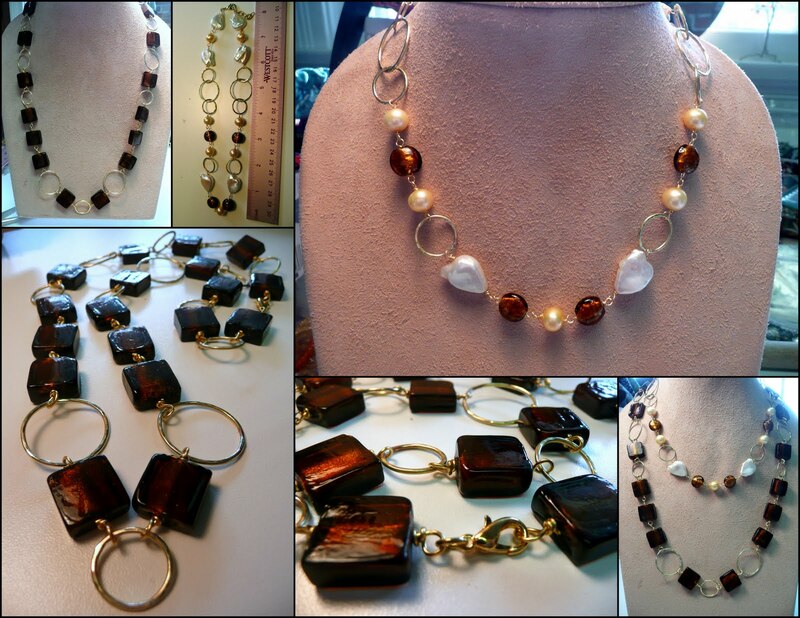 More venetian glass, pearls and brass links. I have nothing to do today, so I am resting...okay I rest everyday but some days I have more to do than others. I thought about sewing a template for an Apple I-Pad as my sister-in-law wants a hipster type bag to carry hers in and I also thought about taking a nap....humm. Maybe I should really do something productive today. I do have my Orthopedic Society meeting tonight, so at some point I really will have to get out of my sweats. You'll be hearing more on the Orthopedic Society that I just join later. All the money we raise benefits Mary Bridge Children's Hospital, so it is a very worthwhile organization. "Dana's Jewelry Designs" has been included in this weeks Sites To See. I hope you like the image I featured, and I hope this helps to attract many new visitors here. It is simply breathtaking. Your pieces are one of a kind treasures. Thank you for sharing.